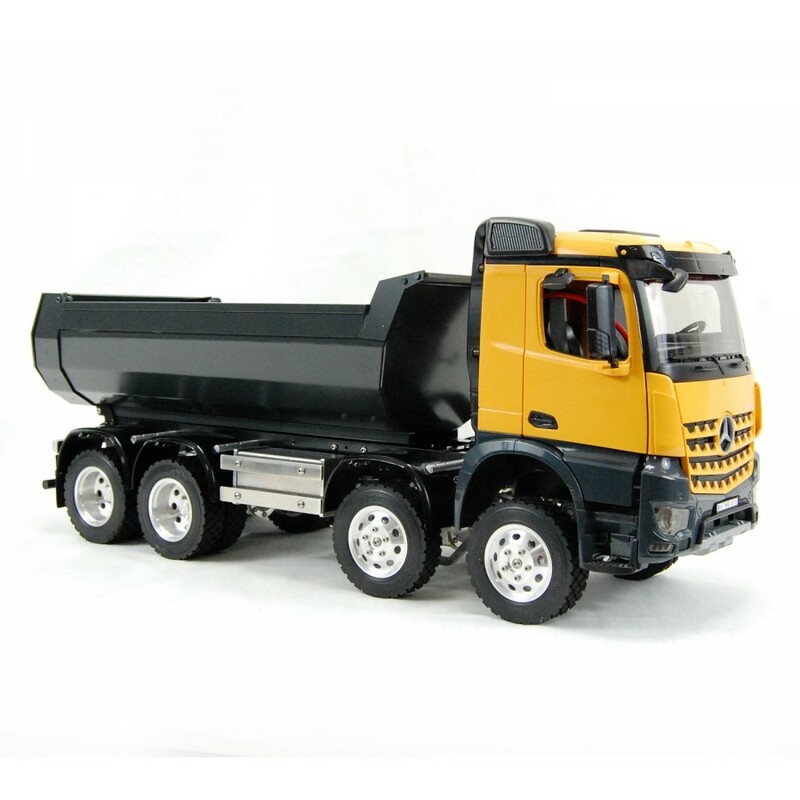 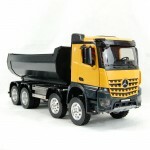 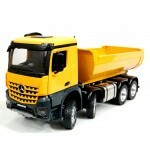 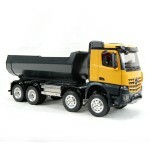 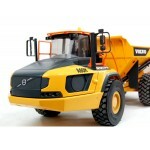 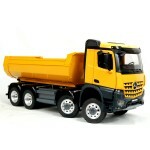 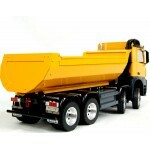 The 6x6 SCANIA R560 is a 1:16 scale truck. 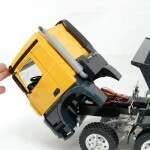 The cabin and the tipper are the original platic parts of a Bruder toy. 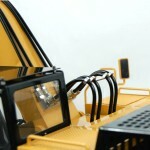 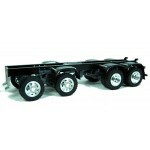 The rest of the components are made with CNC machined aluminum. 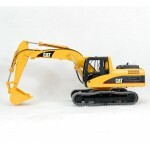 The transmission is made by a gearbox (1 gear) with shafts and locked axles.